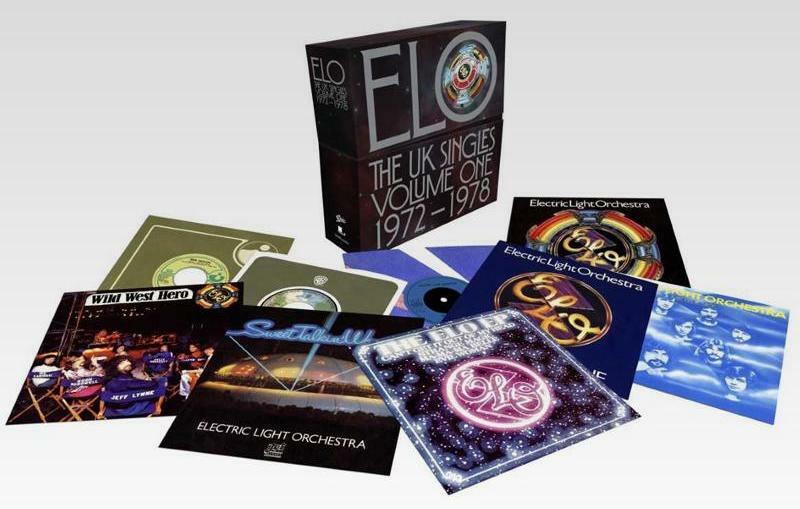 As exclusively revealed in this April elobeatlesforever (elobf) article, the folks at Jeff Lynne revealed earlier today that one of two boxed sets of Electric Light Orchestra (ELO) UK 7" singles (in replica sleeves) will be released on Friday 21st September 2018. 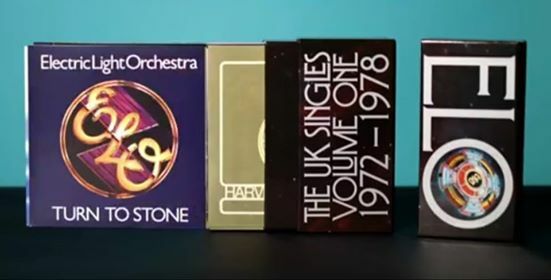 The set will recreate all sixteen ELO 45RPM singles from "10538 Overture" b/w "First Movement (Jumping Biz)" (originally Harvest/EMI HAR5053) in 1972 all the way through to 1978 with "Sweet Talkin' Woman" b/w "Bluebird Is Dead" (originally Jet/CBS SJET121) and also includes The ELO EP (originally Jet/CBS ELO1), ensuring a bumper Summer for ELO vinyl collectors following in the wake of the almost 2LP edition of "Secret Messages" - minus "Beatles Forever" - seven weeks earlier on Friday 3rd August. Accurately reproduced sleeves and a return to their original labels also appeal. A second boxed set covering the singles taken from "Discovery" (1979) to "Xanadu" (1980) to "Secret Messages" (1983) to "Balance Of Power" (1986) is expected to follow thereafter. elobeatlesforever (elobf) recommends ELO: The UK Singles Volume One 1972-1978 to those enlightened folks who enjoy the music of ELO, Jeff Lynne, Roy Wood, The Move, The Idle Race, 'Brum Beat', The Beatles and related artistes. But will they SOUND good? I own the original CD release of On the Third Day (physically pressed in 1990 I believe), as well as the 2006 remaster. And the remaster sounds WORSE. And it does not seem like Jeff Lynne ever cared for the mixing of his stuff. This is somewhat underwhelming considering you can find the originals on Ebay fairly cheap if you have patience. Shame there are no blue or purple vinyls (could even have put "WWH" on yellow); it's a lot of money for a nice cardboard box. It's a lot of money for a nice cardboard box. Nothing special here really (no coloured vinyls, no booklet etc...).